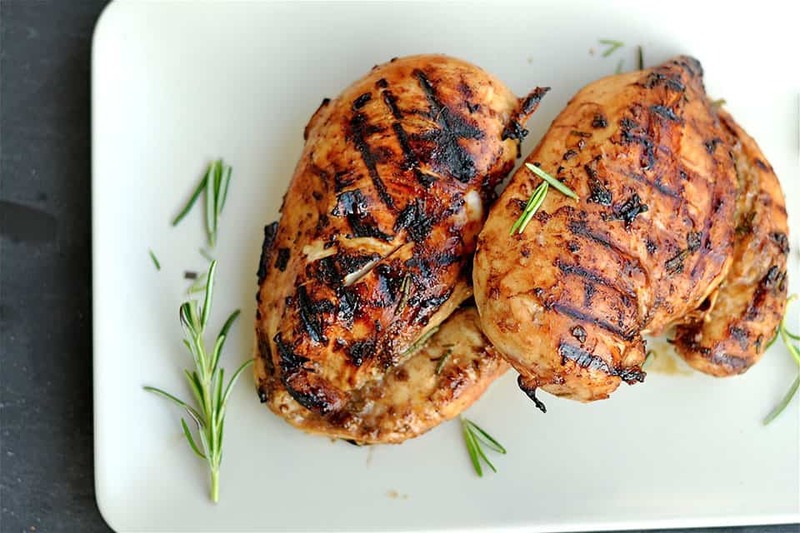 This grilled chicken comes together beautifully with a simple and sweet marinade with fresh rosemary and balsamic vinegar. 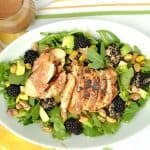 The chicken makes an easy summer time weeknight meal, or is a perfect dish for entertaining guests. 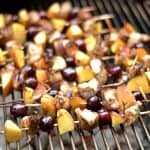 This grilled chicken recipe has been around my marriage for a long time; it was my first ever chicken marinade and one that I re-visit often. It still is one of my all-time favorites! 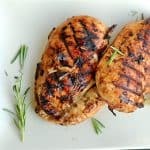 What I love about it is the fresh taste of rosemary and balsamic together, but also the brown sugar gives it a simple sweet taste and slightly caramelizes the chicken. It’s a super simple, but yet sophisticated recipe to serve to guests. I can’t take credit for the marinade, it’s a recipe I’ve used and only slightly adapted from Williams Sonoma. I usually make this in the morning, and marinade all day. If you forget (I’ve done that many times), even an hour or 2 is still great. I love to serve this along side my Greek Orzo Salad with Dill. Place your chicken breasts in a large ziploc bag, or container. Place vinegar, oil, soy sauce, and brown sugar into a food processor. While motor is running, add rosemary and garlic. Pulse for about 1 minute, or until nice and smooth. 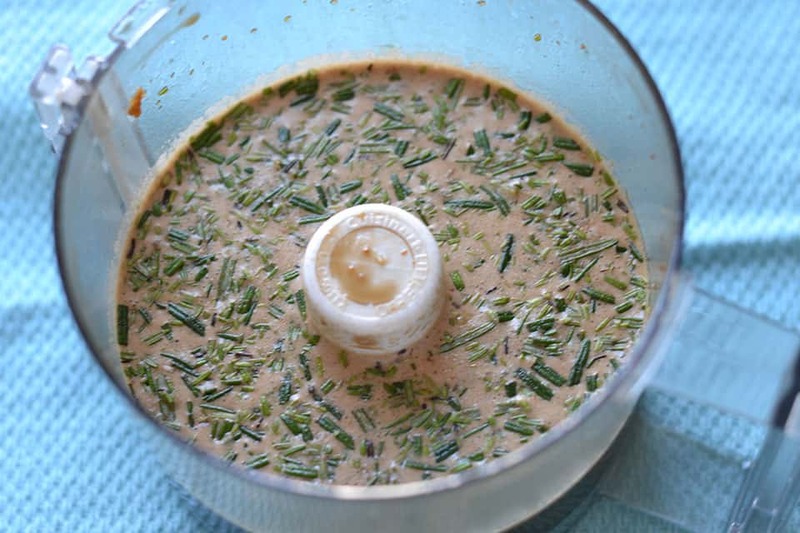 Pour marinade onto the chicken, and let marinate in the fridge for at least 1 hour up to 10 hours. Grill each breast until 165 degrees internal temperature or until no longer pink inside (usually takes 6-8 minutes per side). How can this be Gluten Free if it uses Soy Sauce? Hi there! I use either coconut aminos or GF Tamari Sauce in all of my recipes. This is one of my first (older recipes) and one that does not state to use one of those options. I will change that now! 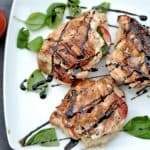 The rosemary and balsamic Chicken sound delicious, do you have a nice sauce that would complement the dish?